I am having a great time making Christmas cards this year. But the closer Christmas comes the more I am ready to move on to the new year. I decided this time I would make a Christmas Thank You Card for my customers for all of their wonderful support at my last workshop. I know these are all not traditional Christmas colors but our 'In Color' in Soft Suede certainly has become a very popular one this Christmas. It is being well used by customers and fellow demonstrators alike which again shows you the versatility of our 'In Color' selections. But enough talk and let's get to making this card. Take a piece of 8.5 x 11" Soft Suede CS and cut the 11" side at the 5.5" mark. Use your bone folder and fold in half at the 4.25" mark. Taking the snowflake from the Pattern Pines stamp set (Hostess Level 1) and stamp it into our versamark ink pad. Stamp the image around on the CS a few times. This has become my favorite new embossing powder, Iridescent Embossing Powder. Apply to the stamped images and make sure to tap off the excess. 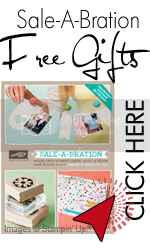 Grab our Stampin' Up! Heat tool to set the powder. Set that aside and take a piece of Whisper White CS and cut it into a 3 x 4" piece. Grab the Kindness stamp from Heard from the Heart Stamp set with the Soft Suede ink pad and stamp on the top half of the Whisper White CS. Grab your corner rounder punch and punch the two top corners as shown. Stick a 1 1/2″ x 4″ piece of the beautiful velvety texture DSP that comes from our Christmas Cocoa DP along the bottom edge of the Whisper White CS. Take a 5″ piece of 'Sleigh Bell' ribbon and lay it across the seam of the DP. Bring the ends of the ribbon around to the back of the CS and stick them down with Snail adhesive. Using your 3/16" hand held punch, punch a whole through the ribbon. Now I will add the Square Firestone Brad in the large size and put it through. 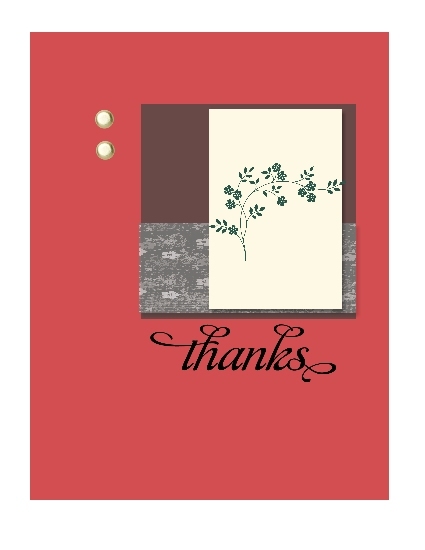 Attach the Whisper White CS with 5 of our Stampin' Dimensionals to the base of your card and your done. I hope you like this card as much as I do it was a lot of fun to make. See you tomorrow! Need it, Want it, ORDER IT HERE! I just wanted to give a big shout out to all of my American friends and I hope and wish that you have the best Thanksgiving ever! If you look at the photos you've taken over the years, you'll probably begin to notice some similarities in the way they're composed, as well as the point-of-view you're shooting from. Taken one-at-a-time, these similarities don't matter much. When you're looking at lots of photos at once, though. Say, for example, in a scrapbook, these similarities take away some of the excitment the book should generate. 1. Foreground/Background Composition - I don't care how interesting a photo is. You can always make it more interesting by placing something in the foreground. This creates a greater depth in the photo and provides more eye candy for the viewer. 2. Perspective - If every one of your shots are taken straight-on, the 'wow' factor you gain when changing the perspective will amaze you. Get down on the floor and shoot up. Get up on a ladder and shoot down. The possibilities are endless, but the effect will always be powerful. Still haven't finished all your Christmas Cards yet? I know me too, lol! So here is your one last chance to get them done! It's a Stamp a Stack time! Last time for the year so join me on Thursday, December 3 @ 6:30 pm or Saturday, December 5 @ 1:30 pm and get them done!!! I will be doing them too for my family and friends. Supplies needed: Bring your snail!!! Make thank you cards with ease on our MDS or do your scrapbook pages. Rest assured I will be extremely busy over the next few weeks when my kids come home from Disneyland, this Saturday,with all of their pictures. I have got to do a lot of scrapbook pages with them, then I will send them to the printers for Christmas gifts this year! Count on it, you will be seeing a lot of those pages on my blog over the next few weeks. 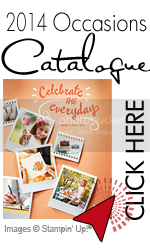 Get prepared for all of your Christmas pictures and order your copy of the MDS TODAY at my 24/7 store! Get a better deal with the new MDS starter kit, just click on the picture to get started! Start the new year right by coming to an Opportunity Night! This meeting is all about giving you the opportunity to learn what it's like to take your favorite hobby, stamping, and make it into a business. Whether you want to stamp full time as a career like I do or supplement your family income like paying for my kids extracurricular activities, you can tailor your stamping business to your needs and available time. There will be a short presentation, time for questions, and other surprises. So mark your calendar NOW! Call me at 780-476-1430 or email me at paigeis7@shaw.ca to let me know you are coming. I'll save you a seat! Everyone loves taking baby pictures. Cute little ones on their backs or their stomachs, making adorable faces or getting into funny situations. Getting a good picture of your little one once their more mobile, however, can become a bit more of a challenge. Often, they're moving from one thing to another so quickly that, by the time you're set up, you've missed the shot. 1. Use a fast shutter speed. Sports photographers know the only way to really capture the action is to take the kind of shot that freezes time. Set your shutter speed for 1/500th of a second or higher and you'll be able to avoid most blurry photos... even if you're moving your camera to track your subject when you snap the picture! 2. Use a flash. Sometimes, in low-light situations, you won't be able to shoot at a very high shutter speed. In those situations, a flash will do a fair job accomplishing the same benefit as the first tip. 3. Shoot wide. Don't worry about getting too close to your fast-moving subject. You run the risk of cutting them off at the edge of your shot. Instead, shoot a wider angle. That way, you have more choices for composition when you edit the photos later. And don't worry about cropping too much when you edit. Most of today's cameras have enough megapixel power that you won't lose resolution no matter how much you zoom in for your edits! that you would LOVE to find wrapped and under your Christmas tree this year! Why not let me help that happen? I have the perfect idea for you this year. I have developed a Holiday Wish List that will allow you to point out some specific items that you would love to unwrap on Christmas Day. Email me for a copy of my Holiday Wish List. Print out this document and fill it with the items you wish to receive. Then return it to me by email, mail or in person. At the bottom of the list you will see that I have asked for the names and email addresses of those people you wish me to contact with your Wish List. I will contact the people on your list and share your wishes with them. And if all goes well, you will find some fun stamping, scrapbooking and paper crafting goodies under your Christmas tree. And for those who are undecided, I also offer gift certificates for any amount. As an added bonus, I will wrap those presents and provide a Christmas card so you don't have too! Contact me for my Holiday Wish List and let the surprises begin! Oh Christmas Tree, oh Christmas Tree, dah di dah da, etc. Ha ha, I wanted to try something different this time with a little more pizazz and I don't do a lot of 3D cards so I thought of trying this. I searched and searched for the tutorial on the origami tree and funny enough I found it on Pixietoo Blog a fellow Stampin' Up! demonstrator I'm proud to say! Cut the Merry Moments DSP into equal squares with these dimensions 4", 3.5", 3", 2.5"
I also sponged on Champagne Mist ink paint for shimmer and attached it to the card base. I left the center folds open to give it a more 3D effect, of course you can add ornaments to your tree if you wanted as well. I think this is really cool, my girls just absolutely love it. I hope you do too! During the months of November and December I thought I would give my hostesses a special Christmas treat. A booklet of Christmas magnetic bookmarks to save the spots in the catalogue where they want they're husbands to go shopping with. Ha Ha-Hint Hint! This though is NOT my original concept, I am proud to say it came from Andrea Walford's 12 weeks of Christmas projects. She used the Cottage Wall DSP I decided to make it more Christmas like by updating it with using Merry Moments DSP and the Gifts of Christmas stamp set. The Happy Holidays is from the holiday mini called Four the Holidays. Real Red and Glorious Green Stampin' Write Markers, dazzling diamonds and 2-way glue pen. Oops don't forget the mellow moss 3/8" taffeta ribbon! To sign up for the rest of Andrea Walford's 12 weeks of Christmas newsletter just click on the link below. Andrea Walford Too get the tutorial for this project you will need to purchase her DVD as this project is no longer available online. Worth every penny! Wow I can't beleive Christmas is only 50 days away, well actually 49 days for me as I celebrate Christmas on Christmas Eve. I have so much work to do and in so little time. I haven't really done my Christmas cards yet this year and I better get to those soon. He he. So at our group meeting last night I am always amazed at what other demonstrators do and how there imaginations are incredible so here's a HUGE thank you to my fellow demos who constantly inspire me. Cut a piece from the Cocoa Specialty DSP in a 2.75" x 2.75" piece. Cut a 10" piece of 5/8" Grosgrain Ribbon in Certainly Celery and attach as shown in the picture with your snail. Make a bow with the extra ribbon and attach with mini glue dots. Use our Merry & Bright Rub-ons, from our Holiday Mini catalogue and apply your sentiment to the card. Your Done! I will see you again soon! !